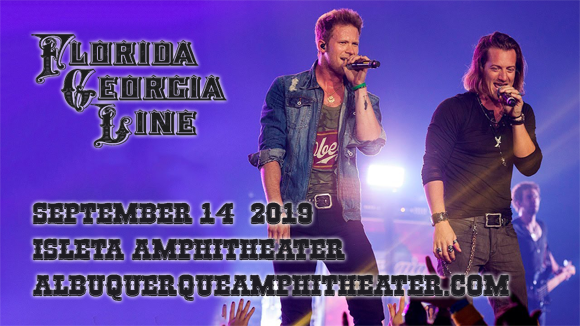 Keepin' it country, Florida Georgia Line are headed to Isleta Amphitheater on Saturday 14th September 2019 on the Can't Say I Ain't Country Tour! The tour supports their hot new album of the same name, which sees the duo stepping away from their signature "bro-country" production and stripping things back to a more classic sound, and will feature Dan and Shay & Morgan Wallen in support! “We can’t wait to get back out and play all of these new songs for you! It’s going to be fire!” said Hubbard in a press release. Upon graduating from Belmont University, where they met in 2008, Tyler Hubbard and Brian Kelley decided to embark on a music career, giving themselves two years to succeed. The guitar and vocal duo formed Florida Georgia Line, originally a covers outfit, and signed with Nickleback producer Joey Moi's label Big Loud Mountain Records in 2011. The following year they released "Cruise", their debut single, which was a huge hit for the pair, breaking two major sales records. The song was downloaded over seven million times, which made it the first ever Diamond-certified country song and, until Sam Hunt's "Body Like a Back Road" claimed the title in 2017, it was the best-selling digital country song of all time, holding its number one position for 24 weeks. The duo is credited with originating the "bro-country" genre. Can't Say I Ain't Country, their fourth studio album, is released in 2019.